YPI Blog: Why Not be the Leader? You are here: Home / YPI Blogs / YPI Blog: Why Not be the Leader? Let’s face it; there are never going to be as many things to do here as there are in major cities such as Pittsburgh or New York City. However, that does not mean there is nothing to do in our small town. In fact, there are plenty of things to do in this rural area that you probably have never thought of. In Johnstown, the common phrase we hear all the time is, “there is nothing to do here.” I have learned that this phrase is wrong. I believe part of the problem with why youth and young adults believe there is nothing to do in our area is because of the lack of communication between them. Several adults I have spoken with have said that one of the most popular places teens hang out in our area is Wal-Mart. No teen that I know meets their friends at Wal-Mart every Friday night. If we can fix this problem to better connect and understand the people in our area, I believe we could find things in our area that all age groups will enjoy. Communication between adults and the youth can be so hard sometimes in rural areas because only a small portion of the population are teens and young adults while the majority are older adults. Filling this gap will take some give from both parties. But how do we connect two completely different age groups? The kids today come from a time where they don’t know what it’s like to go five minutes without their cell phone, while the older adults didn’t have this technology to communicate until recently. One thing we all have in common is where we live. Whether we have lived here for 70 years, just moved here, or are teenagers growing up in the area, we all live in the same town together. I hope that we all would love to see the place we live in be the best it can be. We need to make a difference together. 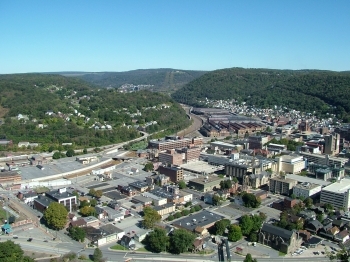 Johnstown has been my home my entire life, and it is a place that I love. Yes, the steel mills have closed, and yes, it may not be as booming of a city that it once was, but that does not mean it still isn’t a great place. Through my internship at the Community Foundation I have learned so much more about the city of Johnstown and it has only made me love this place even stronger. There are so many people who are doing so much to make this place the best it can be. I hope that I can open the eyes of others to show them really what a great place this is that we live in. An important thing that I have learned is you can make a difference. That is a great thing about living in a small city like Johnstown. Unlike in big cities, it is a lot easier to have your voice heard here, in a smaller city, and make a difference. Sure, if you wanted to be heard in those big cities you could. It would just be a lot harder. In Johnstown, and other small cities, almost everyone is willing to listen to your ideas and let you give your input to their thoughts and ideas. It only takes one person to get something started. My favorite quote by Mahatma Gandhi is, “Be the change you wish to see.” If you want to see something happen, why not get it started yourself? Most likely people will have the same passion and follow. Why not be the leader?